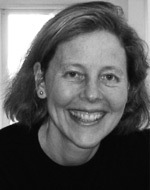 Ann Graham is a contributing writer and former executive editor of strategy+business. She focuses on business strategy and management theories and practices that make businesses more valuable as societal assets. Her latest work includes Gender Lens Investing: Uncovering Opportunities for Growth, Returns, and Impact (Wiley, 2016). She also writes for BREAKER, a website covering blockchain technology. The Harvard Business School ethics scholar says values are defining a new standard of corporate performance.